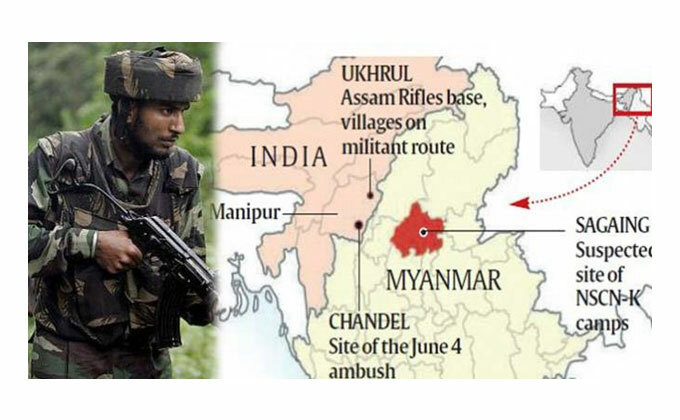 In a bold move, a crack team of commandos from India’s Special Forces carried out a punitive raid on two separate Naga insurgents hideouts located seven kilometres inside the Myanmar side of the border. The operation left 38 Naga militants dead and several others injured. The operation was planned as a response to the Naga militants’ June 4 ambush on an Indian army convoy in Manipur, in which 18 Indian soldiers died. It was arguably the biggest blow suffered by the army since the 1999 Kargil War. The decision to cross the international border in ‘hot pursuit’ of terrorists and to neutralize them was reportedly cleared by the Prime Minister. A similar frenzy and overbearing sense of pride was evident in scores of debates in the mainstream media. All this, in turn, evoked sharp reaction from Pakistan’s political and military leadership, reiterating their resolve to protect sovereignty against any Indian adventurism. Meanwhile, the contradictory statements coming from Myanmar’s capital Naypyidaw seem to dispute Indian version of the operation. It is a travesty that a strategic shift in India’s stance against cross-border terrorism has not been duly appraised due to ultra-nationalistic mood. First, the special operation in Myanmar was not unprecedented. Indian forces have conducted covert operations beyond the country’s geographical boundaries in Bhutan and Myanmar on earlier occasions. But this time Indian establishment openly acknowledged its operation. Minus jingoism, the bold statement from political and army establishment clearly outlines that ‘hot pursuit’ is very much an option to deal with threats from transnational terror groups. The successful coordination between political, intelligence and military wings of the government to plan and carry out the strike indicates a new synergy and sense of purpose to respond to threats to national security. Indian response compliments the efforts of friendly governments in Bhutan, Bangladesh, and Myanmar to prevent anti-India stance and operations from their territories. It should further strengthen bilateral cooperation with these countries in elimination of anti-India subversive groups. But, the moot question is: Can India carry out a covert operation against Pakistan-based militant groups? A one-size-fits-all policy or formulaic response to handle cross-border terrorism is not possible and feasible even if Pakistan is the most desirable case for surgical raids. In Myanmar’s case, India has a treaty with the country that allows cross-border operations with prior approval. Any such attack on Pakistan will be declared as an act of war and could trigger a nuclear war. In fact, Pakistan has long been preparing to thwart a similar surgical strike by developing tactical or non-strategic nuclear weapons. There exist doubts whether India has technical and professional capability to obtain real-time intelligence to carry out an attack against Pakistan with success. Until that happens, it is unlikely that India will undertake a covert operation against Pakistan.